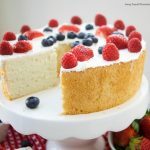 This delicious Sugar Free Angel Food Cake recipe is super easy to make, low carb, and perfect for diabetics. 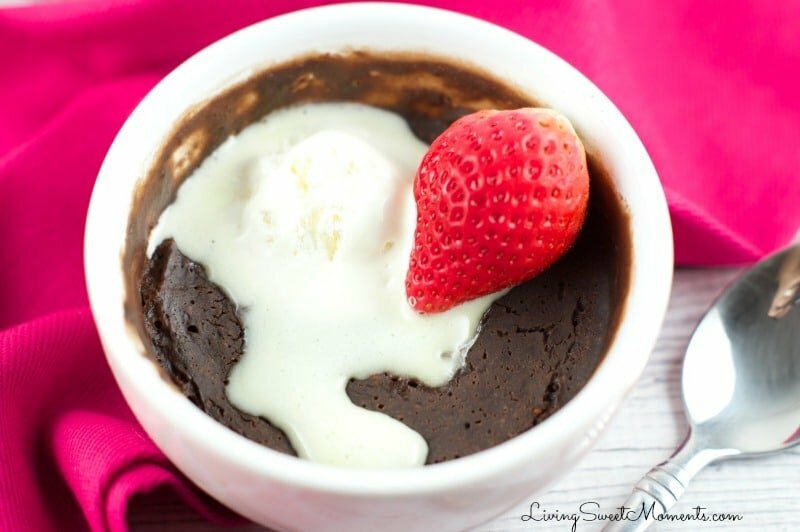 An incredible sugar free dessert. 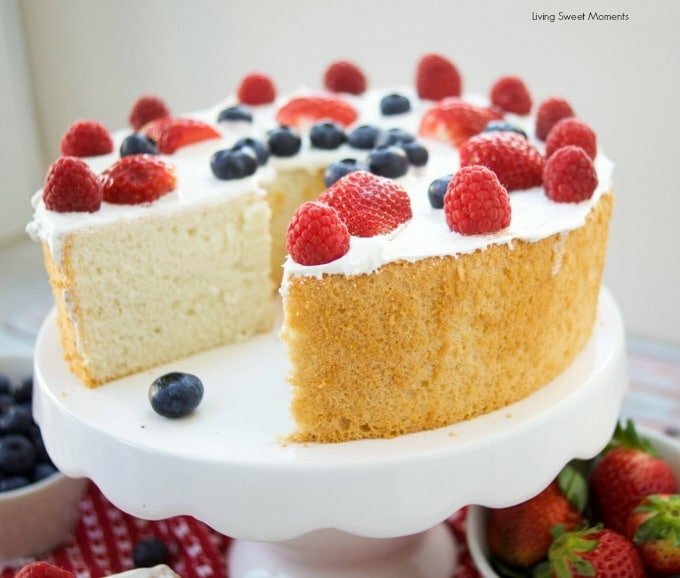 Now everything has changed with this spongy, soft, and delicious sugar free angel food cake. Basically, I can have my cake and eat it too, since there are not many calories in one bite. 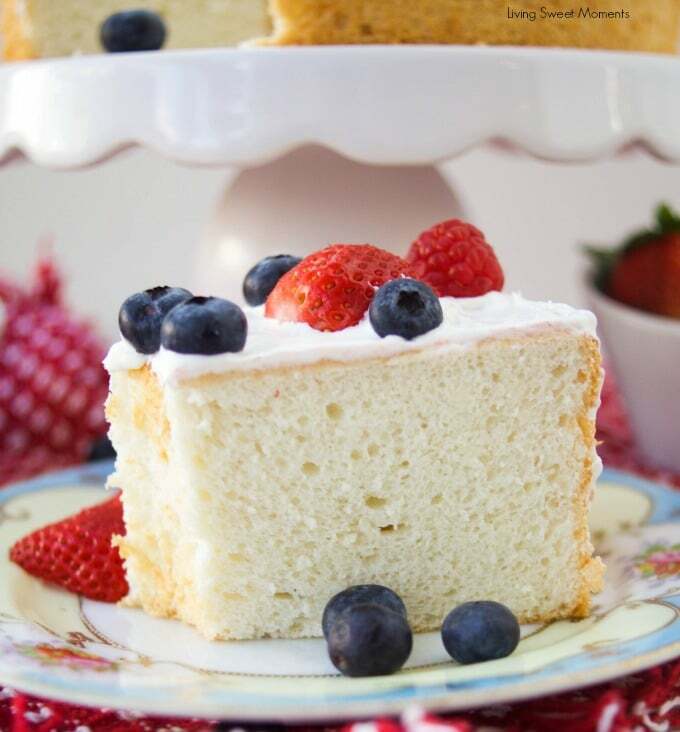 If you’re watching your sugar intake, or are on a low-fat diet, this angel food cake is perfect for you. 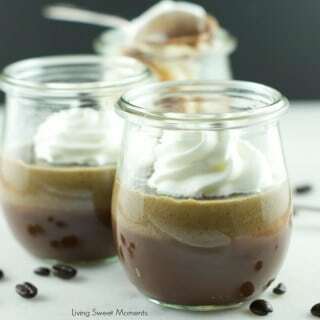 Have it for dessert, or with coffee int he morning. 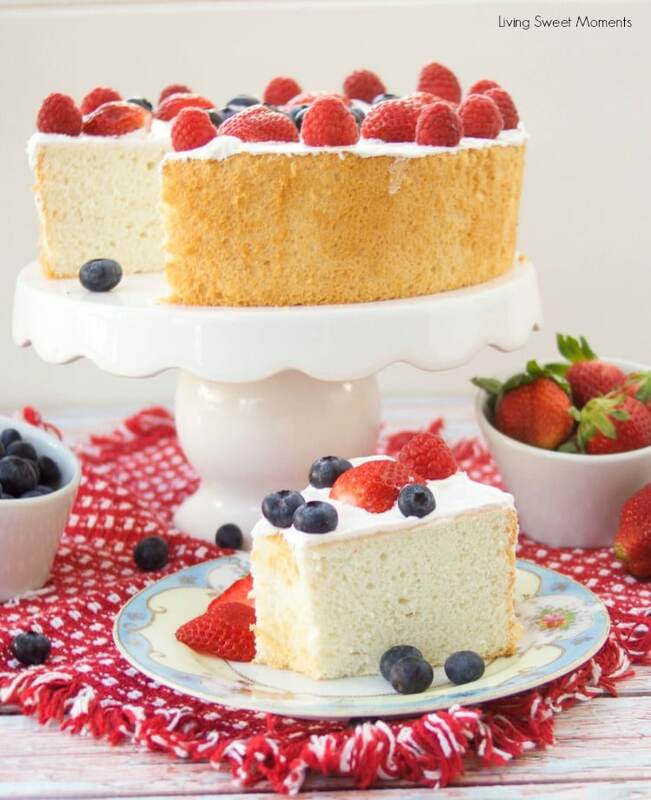 On top of the cake, I added some sugar-free whipped topping and fresh berries. 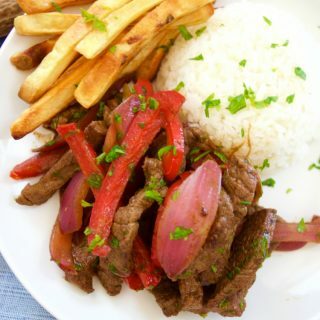 You can omit that or serve with warm fruit compote, fresh stone-fruit, sugar-free syrup, etc. My husband suggested that I cut in the middle to create a 2 layer cake. It’s a great idea to try next week. 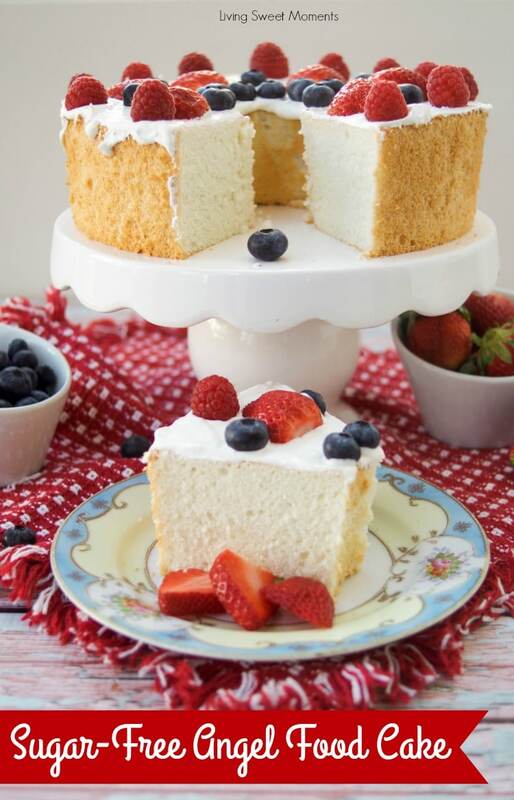 For those of you that have never made an Angel Food Cake, don’t be intimidated. It’s not difficult to make. The hardest part is removing it from the mold after the cake has cooled. I recommend getting a 2 piece Angel food pan to make your life easier. Click HERE to check them out at Amazon. 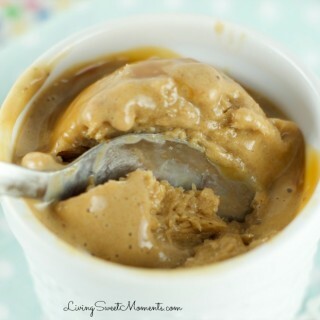 For this sugar free dessert, I used pure vanilla extract. You can substitute with almond, hazelnut, lemon, lavender or any other extract you may like. Also, you can simply omit the extract and add fresh citrus juice with zest. A combination of orange and lime sounds nice. To sweeten the cake you can buy stevia, Splenda, etc. I added Swerve. I love the fact that it sweetens without the chemical aftertaste. Just keep in mind that some sweeteners are more concentrated than others and you may need a little less. Usually, there are specific instructions on the box. 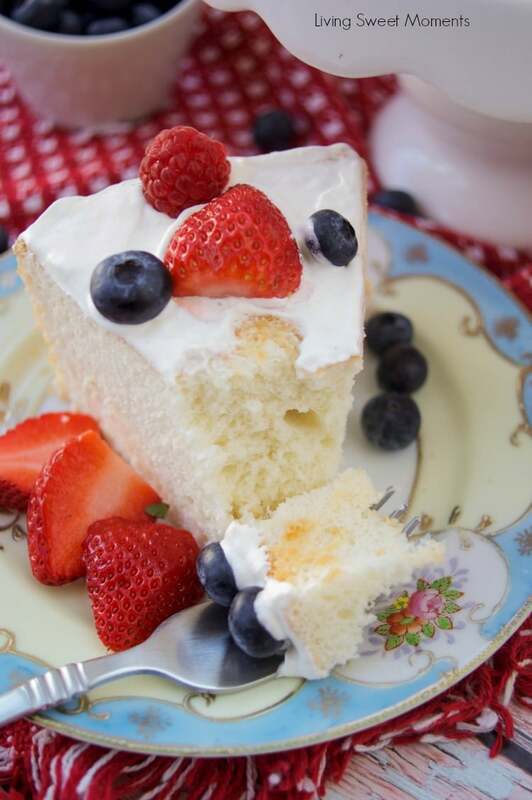 I hope you can try this delicious Sugar Free Angel Food Cake at home. If you do, please upload a pic on Instagram and tag me @Livingsweetmoments or use the hashtag #LivingSweet. I promise to repost it. *You can use 1 1/2 cups of Swerve or Splenda. Just keep in mind that some sweeteners are stronger than others, so read on the label their conversion chart to see how much you would need to replace 1 1/2 cups of sugar. That cake looks delicious! I can’t believe it’s sugar free! Exactly Heather. And the fruit are optional, I added them as a decoration that can easily be omitted. Looks great and I am about to bake this for a family member who needs refined sugar-free recipes. I have a quick question though. I’ve got a bag of stevia. You’re ingredients suggest 1/2 the sweetener, which is what I plan to do, but the directions on the bag of stevia say replace only 1/2 the sugar in the recipe (and keep the other 1/2 of refined sugar?). I’m not sure what to do. Any suggestions? Thanks for such a great recipe! My family member loved this as her birthday cake, and I plan to make it again for our family Easter celebration! P.S. Where does the vanilla go? I completely omitted it because I missed it in the directions. Still tastes good, but for future reference does it get added when whipping the eggs, or when folding in the flour mix? Hi Mellie! Thanks for your feedback I’m glad you liked the recipe. The vanilla goes after the whites are whipped. I’ll update the recipe! You need to specifically state that this cake is NOT sugar free when Zing is used as the sweetener. Sugar is the first ingredient listed on the Zing container. Hi Kctexan, I used Zing because that’s what I had on hand. You can use Splenda, Stevia, etc. How is this sugar free if it has 12 grams of sugar? How many carbs does it contain from the flour? Hi Diane- I am a beginner baker and so I wanted to follow the directions you provided to the T. FYI your ingredients include vanilla extract but then your instructions do not include the vanilla extract. So after I already put it in the oven I realized that I forget that ingredient. You may want to edit your instructions so that they have all the ingredients included in the instructions. I apologize for that omission Danicka. The recipe has been updated. It’ll still taste delicious! 🙂 By the way, who’s Diane? Hi I have truvia and its says to add 1/2 a cup for every cup you use of regular sugar. Your recipe says 1 1/2 cups of sugar substitute so should I use the 1 1/2 or 3/4 cup? Thanks for any help and the recipe looks great. Heart healthy egg whites, no sugar and no fat is a awesome dessert. Hello, I wanted to make a pumpkin version of this…do I alternate or can I just add a can of pumpkin puree without issue? Hi Kimberly. I’ve never tried it with pumpkin. I’m guessing you add the pumpkin puree carefully so it does not deflate the egg whites and add 1-2 tablespoons of flour since it needs a little more structure. I’m hoping that would work but cannot guarantee it. Good luck! Thank you. I wanted to make one with Splenda but wasn’t sure if it would work. My recipe does not call for cornstarch. Just one cup of flour. Can you tell me why the cornstarch is used? Can you use liquid egg whites from a container? Or won’t those fluff up? Delicious and perfect texture/spongeyness. I just ate a piece with berries and a little light whipped topping. I used Truvia Baking Blend, so mine had a bit of sugar, but not much. I used almond extract instead of vanilla. I prefer that. I didn’t want a huge cake around since it’s just my hubby and I, so I halved the recipe and used a smaller size angel food pan, reducing the baking time by just a little. My pan doesn’t have a removable bottom, so I carefully cut a parchment paper insert with a hole in the middle for it. That aided removal and made for a pretty top. My pieces were a little smaller than they’d be making the full recipe, but my piece seemed sufficiently big. I called my half recipe 8 servings at 74 calories per serving (using Truvia Baking Blend). I dusted the top of the cake with just a little confectioner’s sugar. Very smart on using parchment paper to replace the removable pan Elaine. Thanks for sharing that it’s possible to halve the recipe and still get a beautiful sponge. Looks great! About how big a slice for that calorie count? 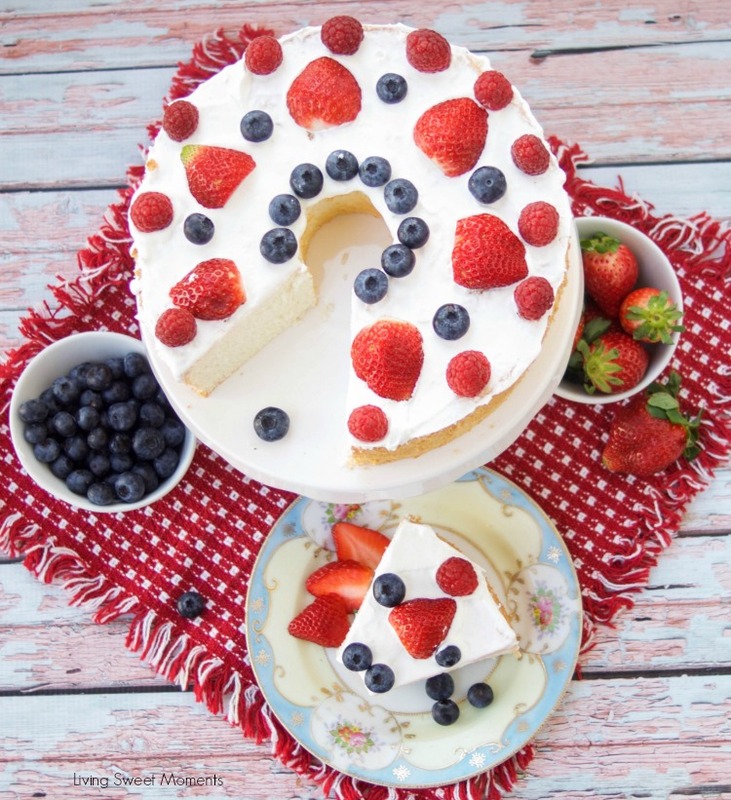 hey, I notice most low carb angel food cake has no flour in them, Is there a reason for the flour? Hi. I have this in the oven now. It’s not rising like when I make a regular box angel food cake. Is that normal or did I do something wrong? I’m making this Cake tonight!! It looks Delish! I’ll have to post Pic. can’t wait to see it Monica! Tiffany!!! Tiffany!!! Tiffany!!! I just want to Thank You for this Awesome Recipes. I just took my Sugar Free Angel Food Cake out of the over and it’s BEAUTIFUL!! I let cool completely very easy to remove from pan and its even Prettier! I can’t wait to serve it tomorrow for Fathers Day!! I’m about to post Pictures. ? What would you substitute for the flour to lower the the carbs! Great recipe. Substituted sweetener with 1/2 cup of honey. You got rid of white sugar, but the all purpose flour is just carbs too! Try coconut or almond flour. 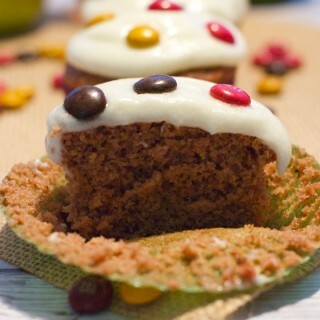 Hi, would this work for cupcakes as well or would the cooking temperature and time be different? I am making this now per recipe instructions. I only have about 5 minutes left in oven. Cake has not risen at all. It is only about 2/3 of height of pan. What went wrong? It’s been only 5 minutes in the oven Linda, give it time… Did you grease your pan? If you did, then the cake will not rise. Also, were you careful when incorporating the egg whites? Hi Nancy! It would work same temp but lower time. I can’t tell you exactly how much time since I’ve never done it myself and you would need less batter for sure. Hi Bella! 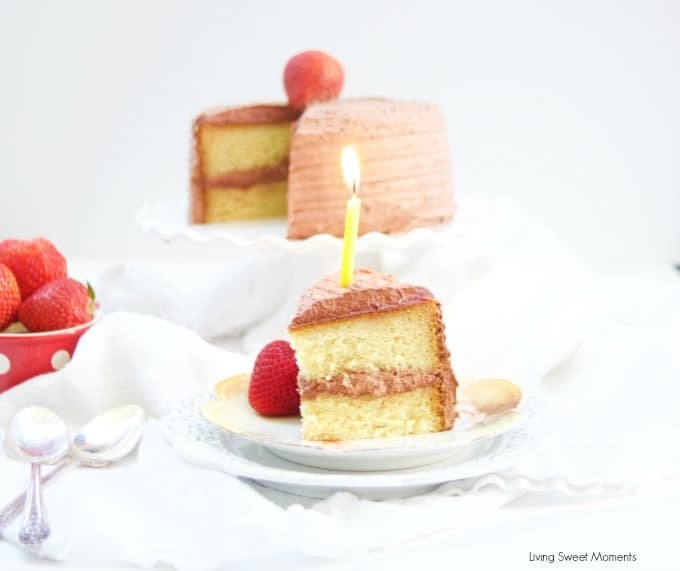 Cake needs a tall pan in order to grow. I find that using a regular bundt cake will make it difficult to remove. Maybe half the recipe and use a springform pan. I am planning to bake this cake tomorrow. I have cake flour in the house & have used this in the past to make angel food cake. Can I substitute cake flour for the AP flour? If so, does that mean I also leave out the corn starch? Haven’t tried this yet. Any chance we can up the fiber content by using whole wheat white flour? Even without sugar the number of carbs, white flour and lack of fiber, make this cake pretty iffy for diabetics. 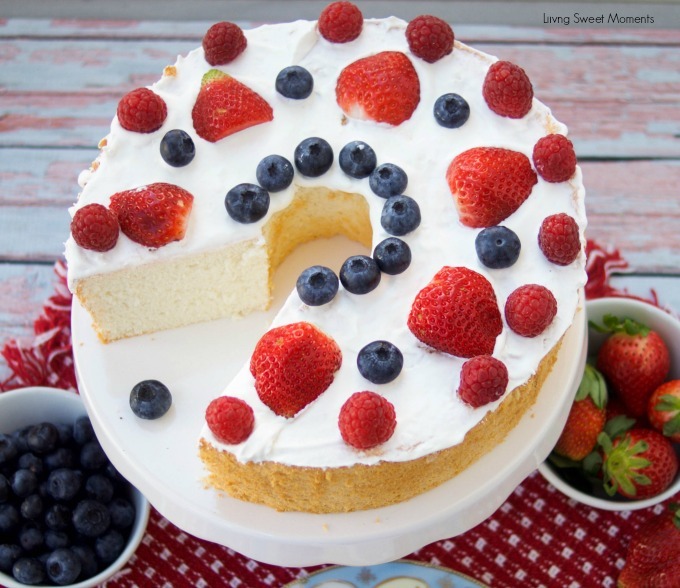 🙁 I really love angel food cake and would like to be able to make this. My cake did not appear to be too spongy though – Very “Egg-y” like. Any recommendations? 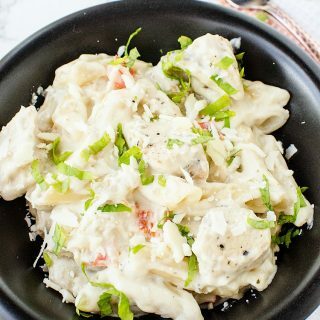 Hi Tiffany I wanted to know if I could use coconut flour, and if so what should I add and/or remove from the recipe? And also how much coconut flour should I use if you did yes to coconut flour?? On the nutritional content box it states 33g of carbs, what is this number supposed to be? 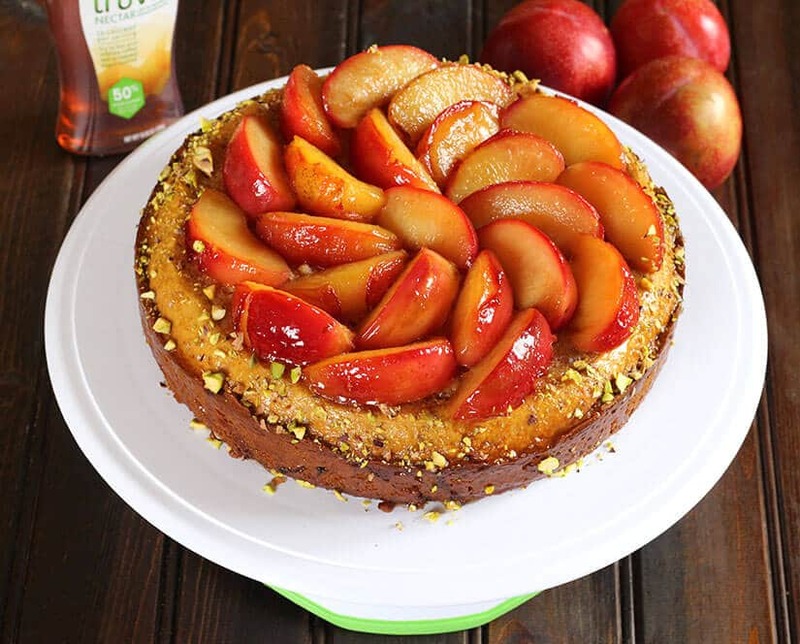 Thank you for putting this recipe out there, looks fantastic, keep on baking and sharing there are so many of us that LOVE new healthy recipes!